While the Democratic pool of candidates is already full to overflowing, Weld stands alone in glorious isolation as the sole Republican openly planning to take on the most powerful individual on Earth. Why on earth would you want to take on THE GOD EMPEROR? 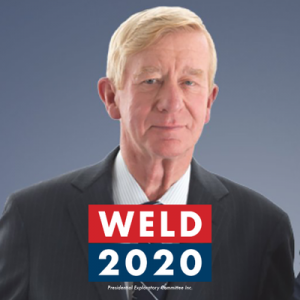 Weld is a wishy-washy anti-gun moron. Accepting him to run as the VP on the Libertarian ballot was equally stupid.